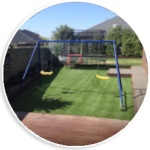 Reelgrass started as a small landscaping company 12 years ago. 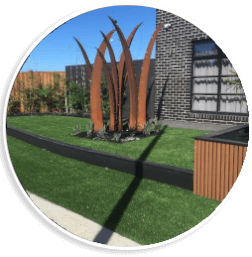 We installed synthetic grass and other landscaping projects. We imported our own grass and supplied to landscapers and nurseries. Attention to detail and customer service was at the forefront of our business. Over the last 4 years our business has changed, but our values remain as true today as they did 12 years ago. Today we have 3 dedicated stores in Hoppers Crossing, Epping and our newest store in Grovedale, Geelong. Our Hoppers Crossing display is our flagship store where we are located inside All Green Nursery. All Green carries a huge range of sands and soils, plants water features etc and is where we hold all our stock. Our new Geelong store is located inside FLINTSTONES GARDEN SUPPLY in Grovedale. Flintstones carries a large range of sands, soils and building products. We can usually deliver grass to Flintstones in 24 hours. Our Epping store is located inside VALLEY GARDEN SUPPLIES. They carry a large range of sands, soils and building products. We can usually deliver to Valley in 24 hours. 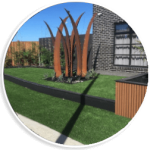 We are experts at helping DIY’s with their projects – come in with a drawing and dimensions and we will work out your exact requirements. 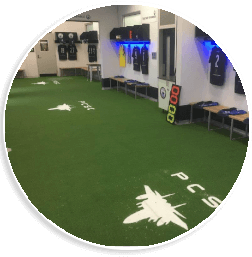 Taking you through the installation process is part of our commitment to you. We also work with many landscapers on bigger projects for schools, child care centers and civil projects. No job is too big or small for our team. If you are new to the landscaping business, pop in and say hello. 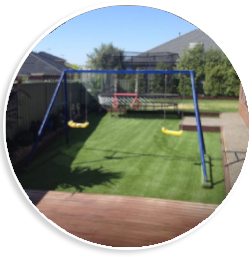 We can advise and train you to install synthetic grass and advise what tools and equipment you will need. Installing synthetic grass is the sensible solution for today’s busy lifestyle. 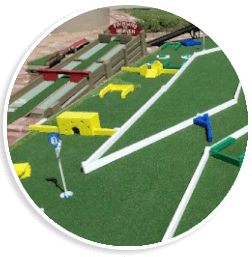 Let Reelgrass help make it a reality for you.